VICTIMS of the Troubles have questioned whether Stormont is considering a major overhaul of how the injured and bereaved are cared for, after a leaked document was obtained by The Detail. The “strategic planning” paper from the Office of First Minister and deputy First Minister discusses a wide range of potential reforms including a shake-up in funding for victims’ groups, an enhanced role for the Department of Health, or even the scrapping of the government’s Victims and Survivors Service that was only set-up in 2012. Victims and their representatives expressed serious concerns over the proposals, which have emerged as top level political talks at Stormont are negotiating the Assembly’s budget crisis, as well as mechanisms to deal with the legacy of the Troubles. The document dates from October, which was the same month The Detail revealed that thousands of seriously wounded or bereaved victims had lost support services following cuts by Stormont. See that story here. Responding to the latest document, the Office of First Minister and deputy First Minister (OFMdFM) told The Detail it remained committed to “ensuring the needs of vulnerable victims and survivors are met in an appropriate and timely manner”. But it failed to give any explanation for the contents of the policy discussion document, or to address specific questions raised by victims’ groups. Organisations that have worked with victims and survivors of the Troubles for decades said the document added to the confusion surrounding the future of the sector. Chairperson of Wave victims’ group Jean Orr said: "If you put a lot of these services into [the Department of Health] you lose the campaigning, you lose the voice of victims. The Wave spokesperson, who is Emeritus Professor of Queen’s University’s School of Nursing and Midwifery, said the NHS could not provide the personal care required by victims. This was echoed by the experience of Carmel Quinn, whose brother John Laverty was among 11 people shot dead by troops in 1971 in what became known as the Ballymurphy Massacre. “The point that OFMdFM are missing here is the trust issue,” she said. At the time of the Ballymurphy shootings, the army claimed soldiers were responding to shots from republicans, though this is rejected by the bereaved. In recent years the British government has dismissed calls for either a public inquiry or a review panel to consider the case and so the families’ campaign is ongoing. Other victims confirmed how they had become involved in campaigns for truth or justice over the death of a loved one, but only later realised they required personal support for the trauma they had suffered. They said they would therefore never have been picked-up as being in need of care by the Health Service. Victims’ groups that provide advocacy, counselling and other services have also reported increasingly high levels of referrals from people affected by the legacy of the Troubles, suggesting the numbers could prove a considerable burden to the NHS. Kenny Donaldson, director of services for Lisnaskea-based South East Fermanagh Foundation (SEFF), added that: "At a time when many victims and survivors are reeling from previous policy changes, we would feel that there must follow a period of stability. “If delivery structures are continually altered then apathy will only grow and those most needing support may well detach themselves entirely and this surely is in no-one’s best interests. “It is crucial that those who have operated at the coalface in supporting the needs of victims and survivors for many years are at the centre of discussions concerning the future provision of services.” His full statement can be read below. :: The first shows no change to a sector which includes a Victims’ Commission, a Victims’ Forum, and an overarching Victims and Survivors Service (VSS) to assess needs and allocate funding. The Detail has previously reported that over the last year, a spate of resignations has left the Victims’ Commission with no chief commissioner, while the VSS has no chief executive and no chairperson. :: The document’s second model considers closing the VSS, which was only created by OFMdFM in 2012. The VSS initially drew sharp criticism for an assessment process that victims reported as finding traumatic. Efforts were made to reform the VSS and more recently some victims reported greater satisfaction with the services being provided, until they were hit by cuts from Stormont. :: The third option in the document looks at retaining the VSS, but moving the process of funding groups into another body. :: The fourth option under discussion looks at wider financial arrangements. It refers to PEACE IV funds from Europe. It considers reforming the VSS, changing the delivery of funding to victims’ groups with a possible role for the private sector, plus an opportunity to “encourage consolidation of groups”. It also looks at the role of the Department of Health. The Detail asked OFMdFM to comment on the document and its contents. OFMdFM was also asked to comment on the concerns of victims’ groups that the document appeared to propose effectively steering money away from some of the groups. Victims’ groups also questioned the apparent suggestion of a greater role for the Department of Health, which they feared would fail to meet the complex needs of victims. The victims’ groups contacted by The Detail are three of the most high profile operating across Northern Ireland. They were also concerned that radical reform was being discussed without substantial consultation with victims. In response to these queries, the Office of First Minister and deputy First Minister (OFMdFM) said: "We remain committed to ensuring the needs of vulnerable victims and survivors are met in an appropriate and timely manner. “We value the work that groups do and the engagement and discussions around service provision reflects this. “Victims and Survivors are some of the most vulnerable people and it is imperative to provide services which are sensitive yet responsive to their needs. 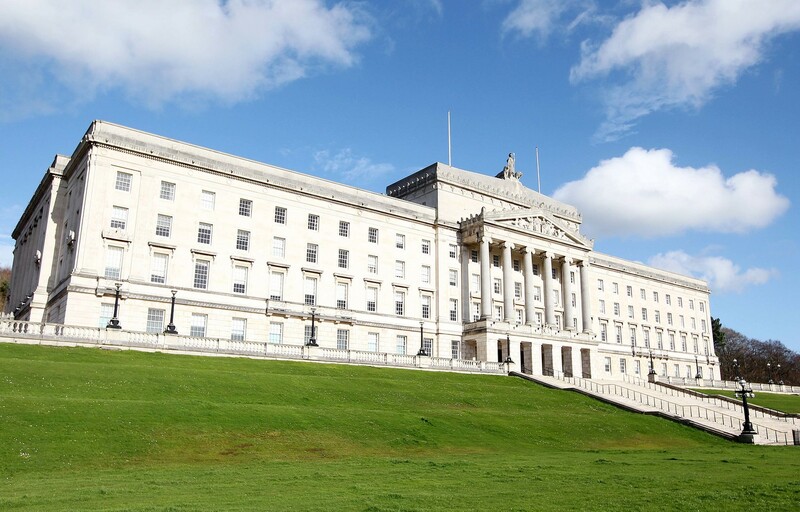 The Health Service in Northern Ireland is already under considerable strain, with major concerns for the future of its budget. The leaked OFMdFM document on victims follows a special investigation carried out by The Detail into the level of prescription drug use in Northern Ireland. The Script Report found Northern Ireland had internationally high levels of the prescription rates for antidepressants. The research also found complaints at a lack of access to counselling. In response to that story, health officials pointed to plans to open a range of counselling services around Northern Ireland to provide hubs working in each Health Trust area. Some of the victims contacted by The Detail said they believed the notion of an increased role for the NHS in meeting the needs of victims and survivors has been raised in the past. But victims’ groups said the NHS is already under immense pressure and could not provide the range of services required by victims, including advocacy and campaigning for those seeking truth and justice. Ms Reilly, whose full statement can be read below, added: "What victims and survivors need are spaces of safety and trust.